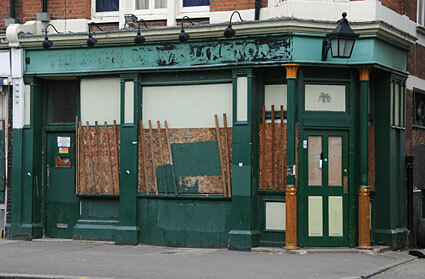 As we've documented in our Lost Pubs Of Brixton feature, Britain is losing its traditional boozers at a terrifying rate. 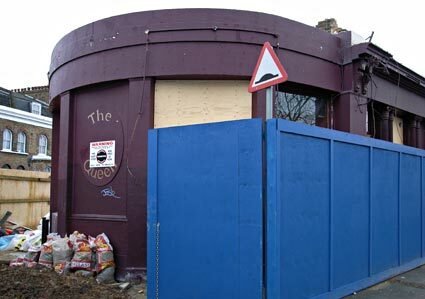 According to CAMRA, there's up to 56 pubs closing their doors forever every month, with 8 out of 10 pubs either demolished or converted into houses. To help you defend your local boozer from being lost forever, we've compiled this outline guide which we hope you'll find useful. Be sure to follow the links to the various campaign groups for news, updates and more detailed information. 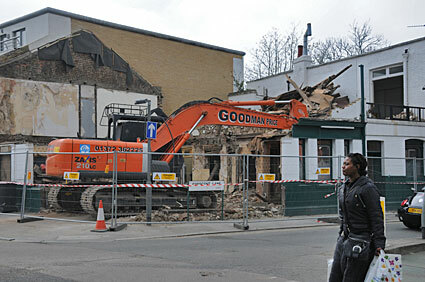 A high profile active campaign is often the key to saving a local public house. The more people who you can get to back your campaign, the greater your chance of success. This advice sheet provides a number of ideas which your campaign may wish to use. You may want to adapt these ideas for use in your campaign, or better still organise a brainstorm to come up with your own ideas. 1. Lobby the current owner. The current owner is likely to be a pub company, brewery or an individual. If at all possible you should seek to open a dialogue with the current owner, both to make them aware of the local strength of feeling and to try and find out more information from them. If the pub is still open you may be able to work with the owner to find new ideas that will increase trade. The more people who use the local pub, the less likely it is the current owner will close the business. If the public house is owned by a brewer or pub company you should seek a meeting with the company to try and persuade them to commit to the future of the pub. 2. Contact your local councillors. Councillors are elected to represent local concerns and so should be more than willing to assist a campaign to save a pub in their local ward. To find out who the local ward councillors are you should contact the local council offices. 3. Contact your local MP. If you can persuade your local MP to back your campaign you will gain additional media coverage and have an ally with significant political influence. All MPs can be reached at 'House of Commons, London, SW1A 0AA'. They can also be contacted through http://www.parliament.uk or by telephone on 020 7219 3000. Alternatively, you could visit your local MP at one of their constituency surgeries (contact your MP for information on these events). You can call 020 7219 4272 to get the name of your MP. 4. Prepare for planning issues. You should contact your local planning authority and ask them whether an application for a change of use has been received. If an application has not been received you should ask if they will notify you once an application is received. A petition is a good means of getting people to support your campaign - not only does a petition enable you to claim support from a large number of people, but it is also an opportunity to collect contact details for supporters. When asking people to sign a petition you should provide a tick box option enabling them to opt in to receiving further information. You may wish to consider setting up an email action group. Embrace social networking tools like Facebook and Twitter to publicise the issues - check out this guide for more info. 6. Send out a press release. Getting support from the local media will be vital in ensuring the success of your campaign. When issuing a press release you should always provide contact details of the spokesperson for your campaign and ensure they are available to take media calls. 7. Hold a local meeting. Organising a local public meeting is an effective way of promoting your campaign and of widening your supporter base. Speakers are not essential. You may decide to hold a discussion instead. Speak to your local paper(s) and ask them to preview your meeting. Ask everyone to sign in on arrival. This is important for health and safety purposes but will also mean you have a list of campaign supporters. 8. Set up an action group. Set up a group to co-ordinate your campaign. This will help spread the work of running a campaign and will make it easier for you to establish that you speak on behalf of your locality. 9. Start a letter writing campaign. Writing letters, faxes and/or emails can be very useful in boosting your campaign. You may wish to ask people to write to a local newspaper. 10. Collate facts and figures supporting your case. The more information you have to support your case the better. Information you can dig out about the history of the pub will help you build support for retaining the building as a pub. 11. Publish a campaign newsletter. It can sometimes take years for a campaign to save a local pub to be successful, particularly where an owner refuses to sell. A half yearly or quarterly newsletter may be a good means of maintaining the enthusiasm of supporters. It is not unknown for owners to keep a pub closed for years, refusing to sell, in the hope that opposition will fade away and that they will be successful in gaining planning permission. 12. Run a local survey. Owners will often claim that there is no longer any need for a pub in the area. You could prove them wrong by proving that there is demand for a well run community pub. By surveying local residents you could identify the level of demand for a pub and also new ideas that could be considered to make the business a success. 13. Contact your local media. Try getting in touch with your local TV or radio station, perhaps your local paper would be interested in covering your campaign or even backing you. Any heightened media interest you can get will only serve to increase the number of people who hear about what you are trying to achieve. 14. Enlist the support of local celebrities. If you know of a local or national celebrity living in your area you could try and persuade them to back your campaign. Their support will mean greater publicity and possibly even national publicity for your campaign. If the pub is/was a live venue, find out if anyone notable has played there in the past and try to enlist their support. A celebrity could help your campaign by simply providing a one line quote which you can provide to the press. - English Heritage, 23 Savile Row, London W1S 2ET. - Cadw, Plas Carew, Unit 5/7 Cefn Coed, Parc Nantgarw, Cardiff CF15 7QQ. - Historic Scotland, Longmore House, Salisbury Place, Edinburgh EH9 1SH. - Environment and Heritage Service (Built Environment), Waterman House, Hill Street, Belfast BT1 2LA. The Community Right to Bid aims to keep valued land and buildings such as your local pub, shop, library or football ground in community use. You have the chance to bid to buy them, if and when they come onto the market. It is important to nominate land and buildings to be part of a register of �assets of community value�.�If something on this register is offered for sale, you then have up to six months to prepare a bid to buy it. Read the PDF guide to Understanding the Community Right to Bid, or contact them through the advice service. An essential overview for local communities looking to save a threatened pub, full of tips and action plans [PDF file]. Campaign to stop the exploitation of pubco licensees and to ensure a fair share of pub profits are retained by licensees. As campaigners on behalf of British pub-users, CAMRA sees the protection of public houses as one of its highest priorities. 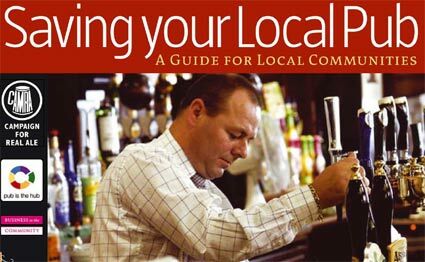 We believe that many of the pubs which have called last orders for the final time in recent years would, in the right hands, have continued to serve their local communities as well as provide a decent living for those running them [PDF file]. Too many closures have resulted in communities finding themselves bereft of previously valuable, indeed vital, facilities. The planning process, in most cases, affords the only publicly accessible forum for debate on the issues around these applications. Viability is of course not the only factor to be considered in planning applications for change of use of pubs but CAMRA believes it to be important enough to warrant this separate guidance. It offers a standard, objective test which will assist planning decision makers to make fair, open and informed judgements on the question of viability. Planning permission is needed to convert a public house into residential use. Anyone is	entitled to object to an application and the more objections that are received the stronger the case is likely to be against change of use. Pub is the Hub was set up in 2001, through the Rural Action Programme of Business in the Community, by The Prince of Wales. It encourages breweries, pub owners, licensees and local communities to work together to help retain and enhance rural pubs. 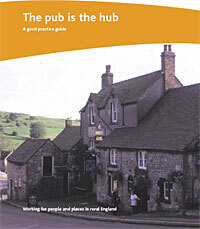 Guide produced by The Countryside Agency, the British Beer and Pub Association and Business in the Community to "encourage breweries, managers, landlords and local communities to use their entrepreneurial skills, together with resources available to them, to help to retain and enhance vital rural services, bolster the rural economy and at the same time benefit the local community." Planning Aid provides free, independent and professional help, advice and support on planning issues to people and communities who cannot afford to hire a planning consultant. Get sent email alerts of planning applications near you! 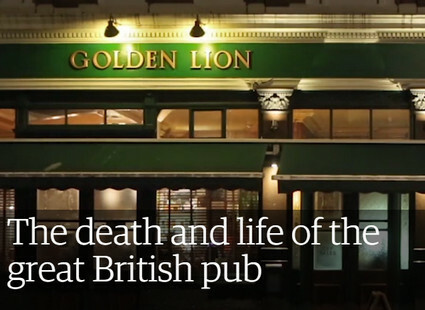 A depressing catalogue of fine pubs lost in and around south London.